In a trio of series to begin the 2019 season, the Colorado Rockies have yet to win a single one, clinching their fate in a 7-2 loss in the second leg of their three-game set with the Los Angeles Dodgers. Plaguing Bud Black’s squad has been a lack of hitting, especially in critical situations, multiple lackluster starts from the back end of the rotation and injuries as the cherry on top. All three struck once again Saturday night. The loss came despite the Rockies allowing only one home run, a rare feat for an opposing team against the red-hot Dodgers. Ahead are the takeaways from the club’s latest blunder. From the game’s onset, Jon Gray was getting hit hard. In the first inning alone, he allowed three of four batters to hit a ball with an exit velocity north of the century mark. The hard-hit balls notwithstanding, Gray battled, throwing three scoreless to begin his second start of the year. The final three-plus innings were far from spotless. In the fourth inning, Gray allowed a pair of knocks, a Justin Turner hit by pitch starting the woes. The final results were a two-run frame after Tony Wolters nailed down his fourth runner caught stealing of the year to halt the damage. A flawless fifth once again gave way to runs in both the sixth and beginning of the seventh innings. After a leadoff home run by Alex Verdugo in his seventh inning of work, Gray’s day was over. His final line: six innings, eight hits, five earned runs and four strikeouts, ballooning his earned run average through a pair of outings to 5.68. Amongst his troubles, Gray allowed a home run for his 14th consecutive start, a franchise record. The Rockies four-game losing streak featured only four combined runs on the board. In their home opening loss to the Dodgers, they scored five in just the final three frames. Despite a late-inning strike against their National League West rival, the batting order was unable to carry over the success in the two’s latest matchup. En route to only two runs, the Rockies had six hits and struck out six times, a modest improvement from their double-digit totals in all three games in Tampa. A big factor in the Rockies’ lack of success against their west coast adversary has been struggles from their offensive leader, Nolan Arenado. In two games, he’s gone 1-for-7. With the lineup already struggling to the tune of 25 runs in nine games, a mere 2.8 per bout, the Rockies placed Ryan McMahon on the 10-day injured list alongside Daniel Murphy prior to the game. The loss of two key left-handed hitters in the campaign’s early going only add to the struggles of an out-of-rhythm attack at the plate. 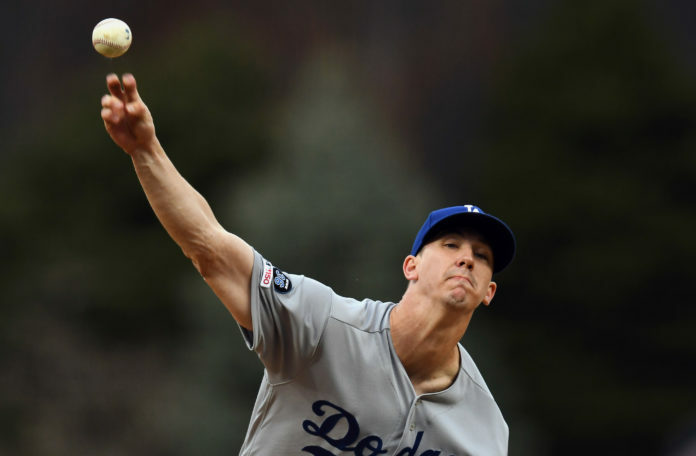 If the first start of the year against the Arizona Diamondbacks threw people off the trail of Walker Buehler, they’ve returned with fervor. In his aforementioned inaugural start, Buehler was only able to go three innings, allowing five hits and five earned runs without a single strikeout. Against the Rockies, those numbers vastly improved. In the end, the Dodgers’ young ace-in-waiting hurled five innings, allowing three hits and one earned run. His lone blemish came on a David Dahl line drive home run to right in the fourth stanza on a fastball above the strike zone. Since the start of 2018, he has now allowed one or fewer earned runs in 14 of his 26 starts. Even in a start where his stuff didn’t feature its typical electricity, the slight-framed Buehler still found a groove. With Clayton Kershaw still rehabbing for shoulder soreness in Spring Training, Rich Hill on the mend as well, Buehler is the de facto lead arm of the Dodgers’ staff. So far, that opening has been filled gracefully. Prior to the game, due to Opening Day festivities consuming Friday’s tilt, the Rockies’ award winners from last season were honored. German Marquez, Arenado and Trevor Story all received Silver Slugger awards for their respective positions. Arenado additionally capped off his hardware off with both a Gold Glove and Platinum Glove. For Arenado, the Gold Glove was his sixth-in-a-row to start his career, the most ever to start a career in league history for an infielder. The one award missing from his stash is an NL Most Valuable Player nod, despite finishing top 10 the past four years.